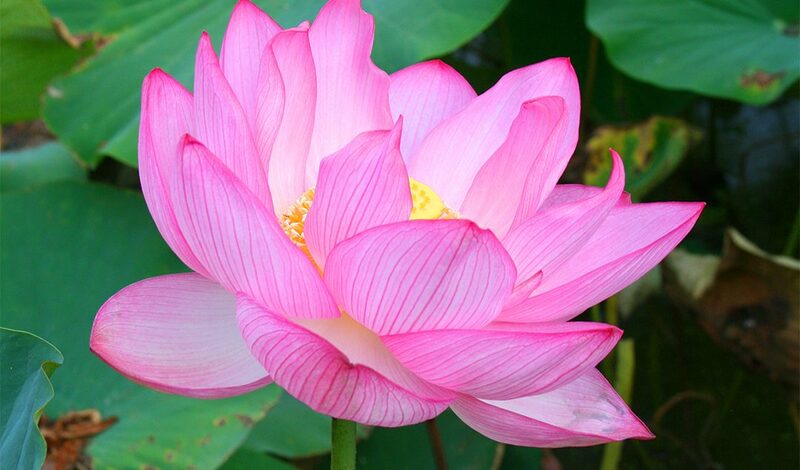 Lotus flowers have been around for thousands of years with anecdotal evidence suggesting they date back to before the dinosaurs. In this display people will see one of the oldest varieties of lotus flowers known to exist today. This ancient lotus flower is believed to be over 2000 years old. It was discovered by Dr Ichiro Oga during an archaeological dig in 1951 at the Hanamigawa River, Chiba, Japan. Dr. Oga successfully germinated 1 of three seeds he found and named it the Oga Lotus. The curators at the gardens received seed progeny of this wonderful lotus and it’s now on display in our Japanese styled pond. 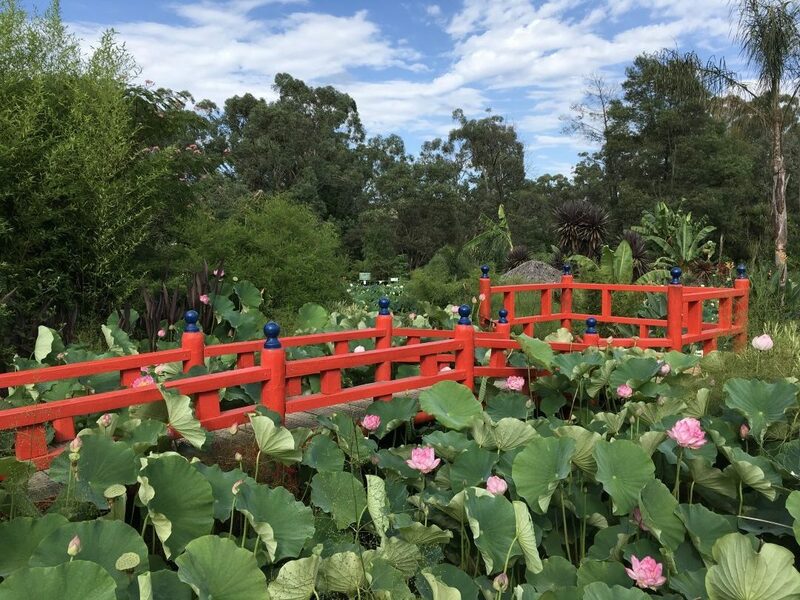 The pond also features a Japanese arch bridge with an elevated viewing platform providing magic views over the Lotus Wetlands.